Blogging is a great thing that interfaces yourself with your interests, hobbies, personal life, food, fashion and much more. It is an amazing way to build your authority and showcase your knowledge on a particular topic. While choosing the best WordPress theme for your future blog it is essential that your blog looks great, professional, proficient and simple. Your blog must have a responsive web design that makes sure each visitor has a good experience at your site, regardless of the device they’re using. Bellow, you can find some amazing free WordPress Personal blog themes for blogging, portfolio, magazines, fashion… hope you can choose one and start your personal blog today! Personal Blog Today (for FREE)! 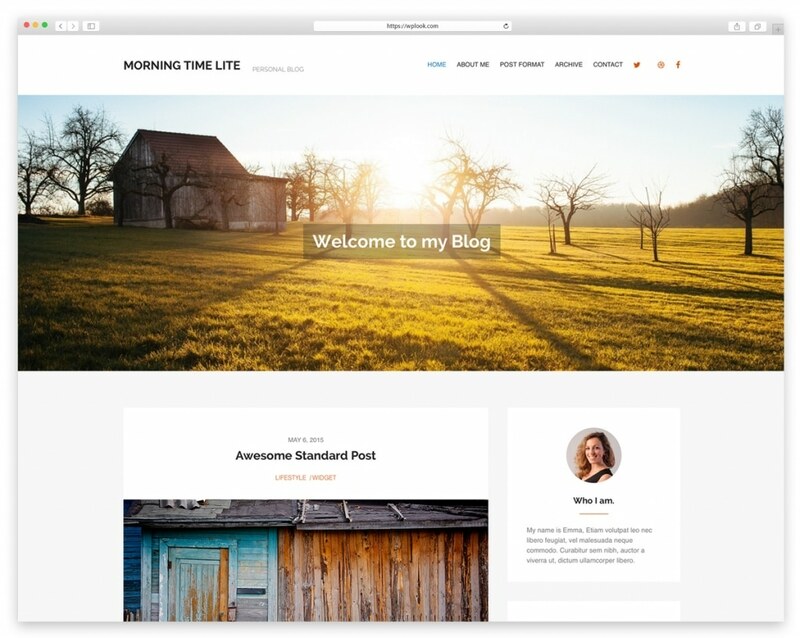 Morning Time Lite is a clean and simple Free WordPress theme with an awesome design, perfect for a Personal Blog, Family Blog, Journalists or anyone who loves to share their day by day thoughts in a very professional and interesting manner. 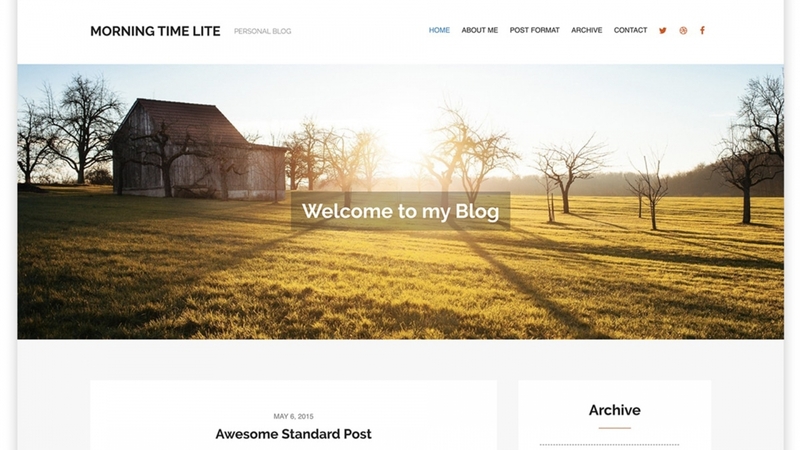 BlogoLife is one of the best Free WordPress Blog themes for personal blogging. It supports post formats and several customization options. The custom background, custom header, and multiple color schemes give you the possibility to adapt your blog as you wish. 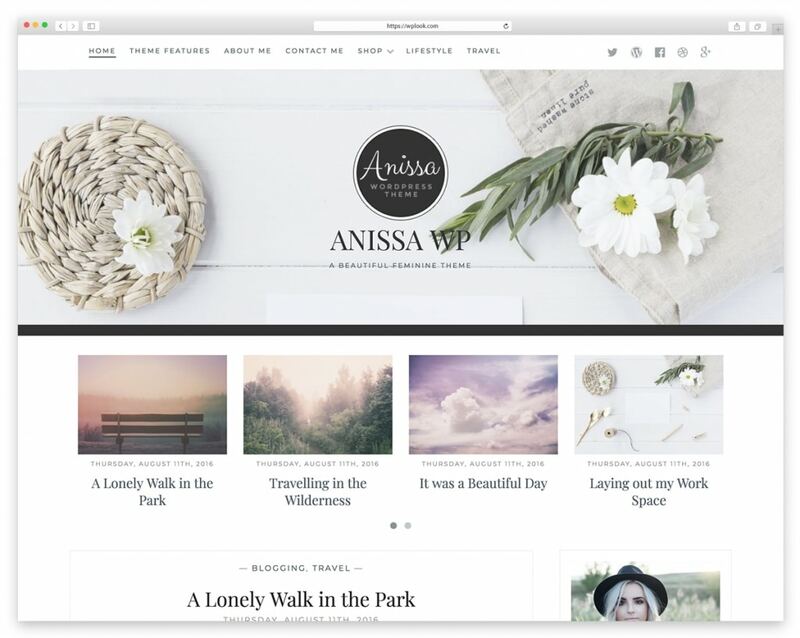 Anissa is a beautiful and feminine WordPress blogging theme available in free and premium version. The theme has been designed to look perfect on all size screens, and it is fully compatible and styled for WooCommerce, so you can use it to create your own online shop. It has a custom “about me” widget where you can add a photo and your social media links. 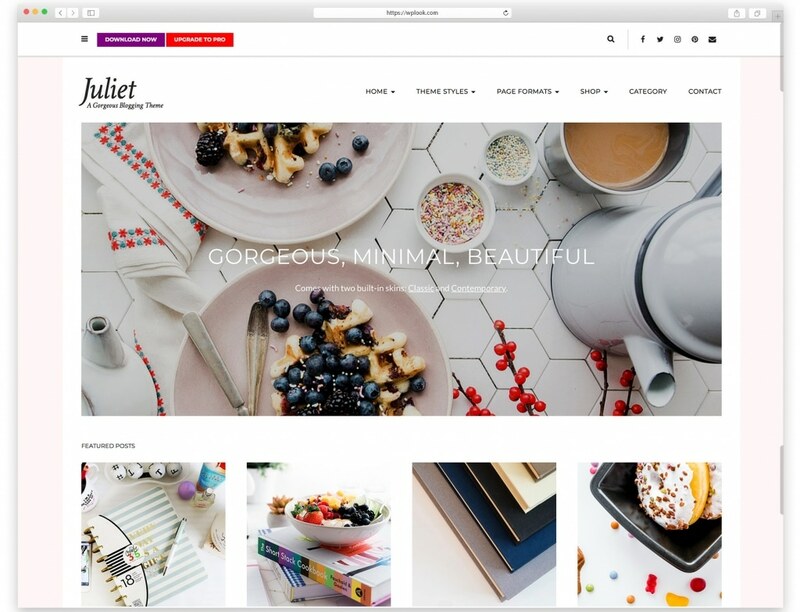 Juliet is a free beautiful and feminine Free Personal WordPress theme specially created for fashion blogs, lifestyle and personal blogging. It has an eye-catching design that provides an assemblage of incredibility productive and functional theme features for personal sites. The theme is easy to set up, simple to use and is WooCommerce integrated. You can customize it just the way you want and it looks very stylish and professional. Multiple Blog Feed Displays, etc. 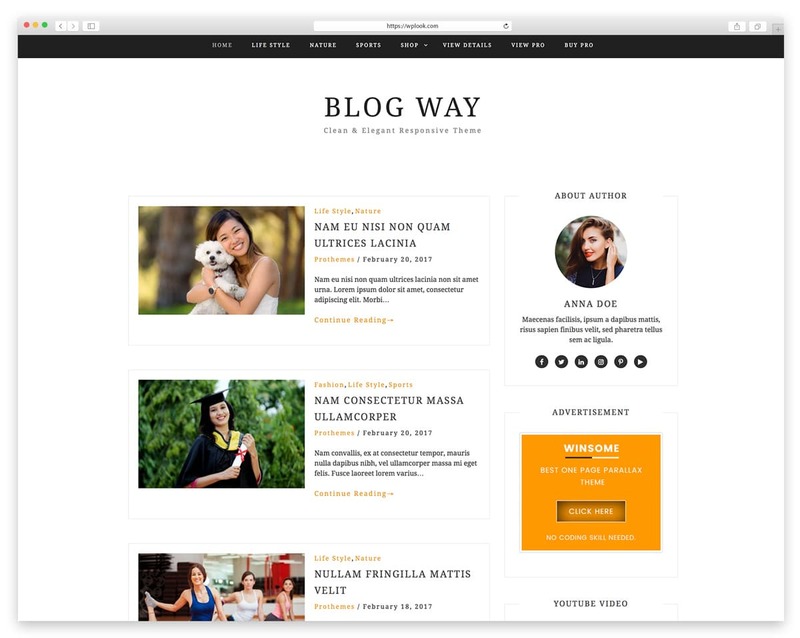 Blog Way is a modern, clean and personal blog theme ideal for travel, blogging, and lifestyle. It comes with beautiful design, it is easy to setup and it has a great range of features. It supports Woo-commerce and can be used for perfect e-Commerce sites too. If you want a minimalistic blog that can be customized without the need to involve a developer, you should check this out. Blog Way has a Premium version which includes a few other widgets to the theme. 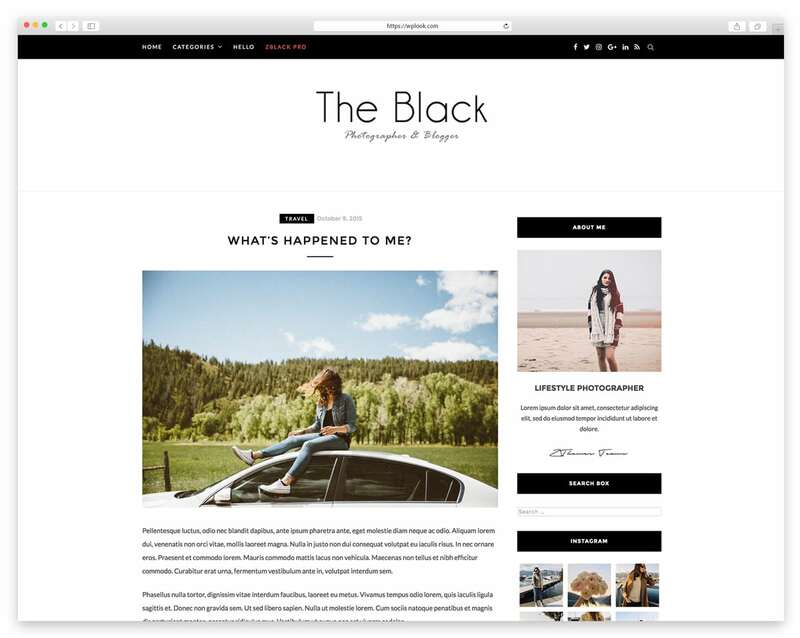 If you want to tell the story of your life, share your great moments and feelings, or to write about your personal journey then ZBlack Lite WordPress theme is what you are looking for. The theme is an elegant and simple WordPress blog theme, responsive and retina-ready, it is easily customizable and has a lot of great features. 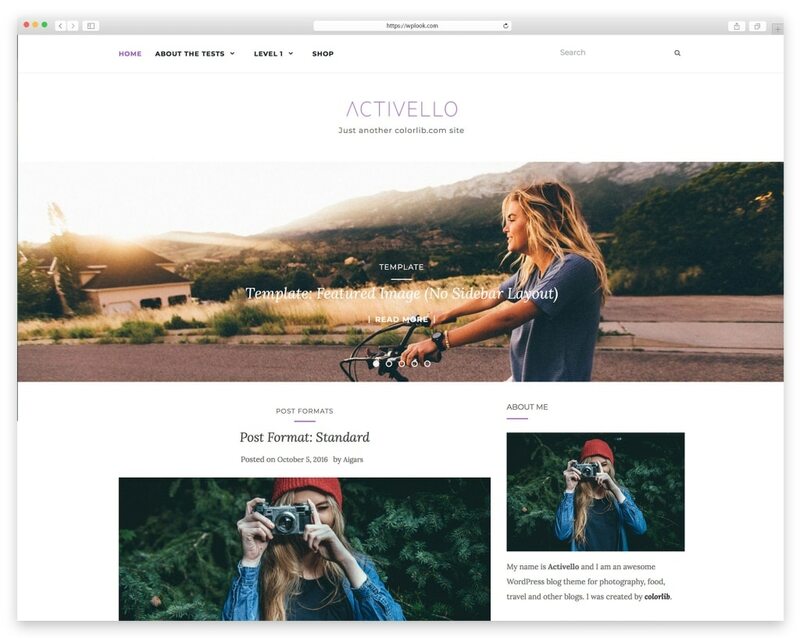 Activello is a perfect, clean and simple WordPress blog theme specially created for lifestyle, fashion, food, travel, sports, etc. The theme is fully responsive and mobile friendly and it comes with several custom widgets and fullscreen slider to showcase your content with style. Activello is integrated with WooCommerce that allows you to create a fully functional eCommerce website. This blog theme is also SEO friendly helping you to achieve the highest positions on Google. 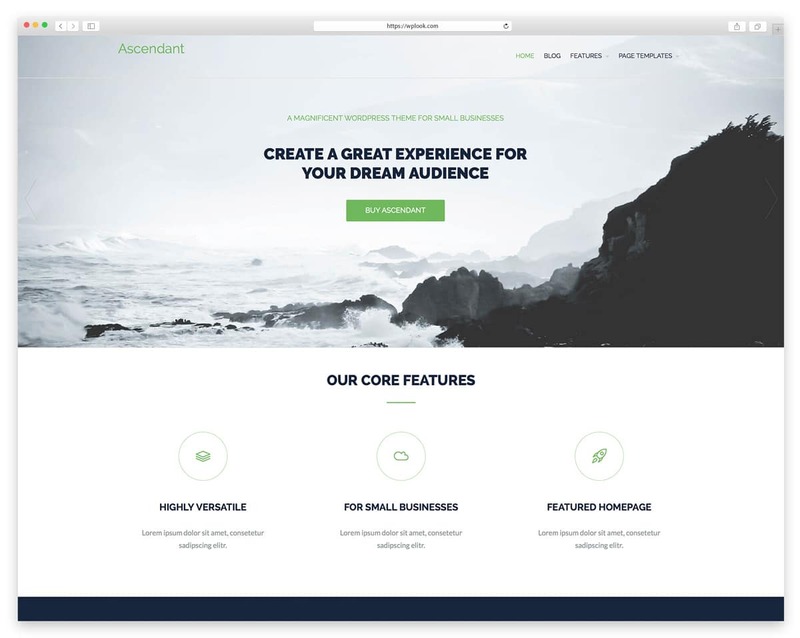 Ascendant is a multipurpose Free WordPress theme that comes with a vast array of features that will give you a chance to make various sorts of content– from portfolios to services and team members. The theme is particularly awesome for designing event-oriented websites and agency pages. Ascendant is all browsers compatible and uses WooCommerce plug-in. 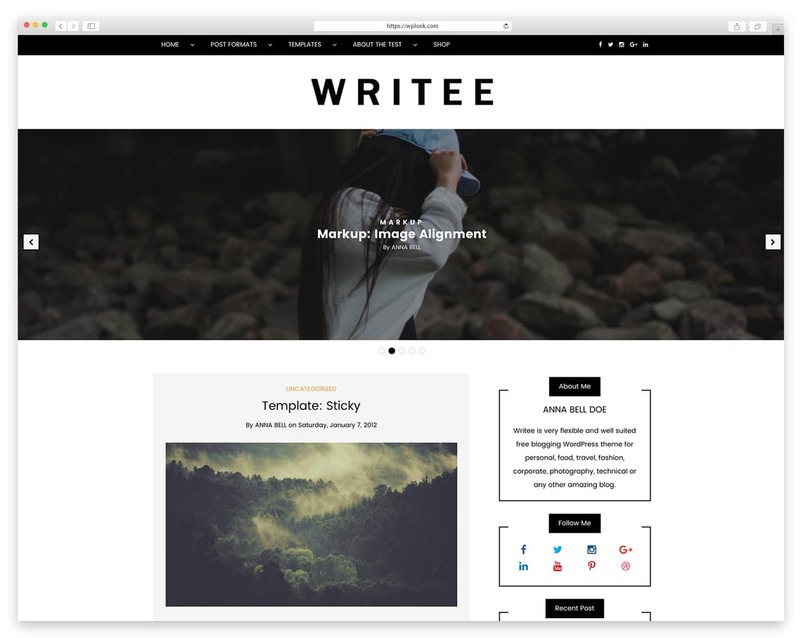 Writee is an elegantly designed and beautiful free personal blog WordPress theme. It is specially designed for writers, authors, bloggers, and journalists. Writee is responsive, mobile friendly and has other great features. The theme comes with multiple templates and custom widgets which gives an outstanding reading experience to the readers. You can Upgrade to Writee Pro for other features. 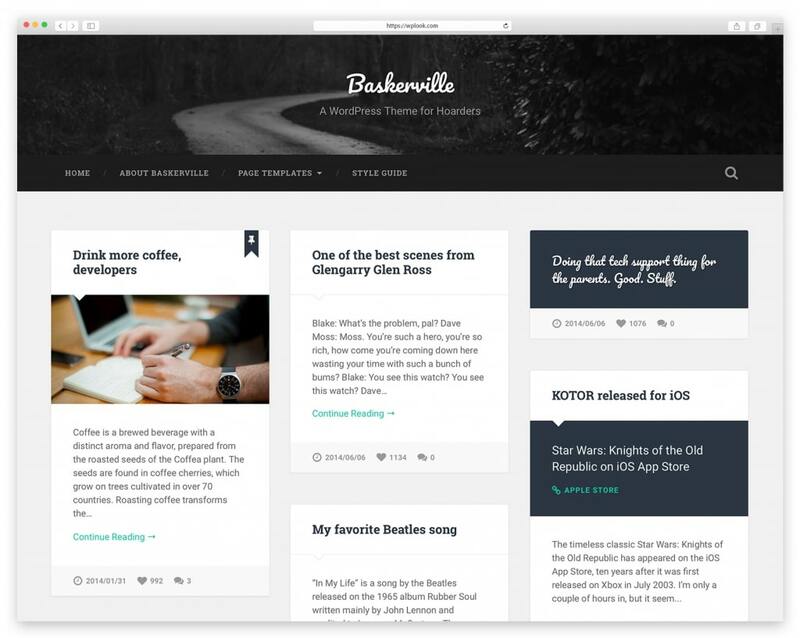 Baskerville is a free elegant and beautiful WordPress theme created to showcase many different types of content, hence its tagline: “A WordPress Theme for Hoarders.” It is responsive and retina-ready and it comes with full-width header image, support for all post formats, custom logo upload, custom widgets (video, Flickr, and Dribbble), four-page templates (including a contributors template), editor styling, like functionality via the ZillaLikes plugin and translation-ready code. This is a beautiful collection. I particularly like the minimalist design of Blog Way. It makes it easy for readers to focus on your content without distractions. Thanks a lot Diana, I finally found that theme that I was looking for. Which theme did you choose from our collection?